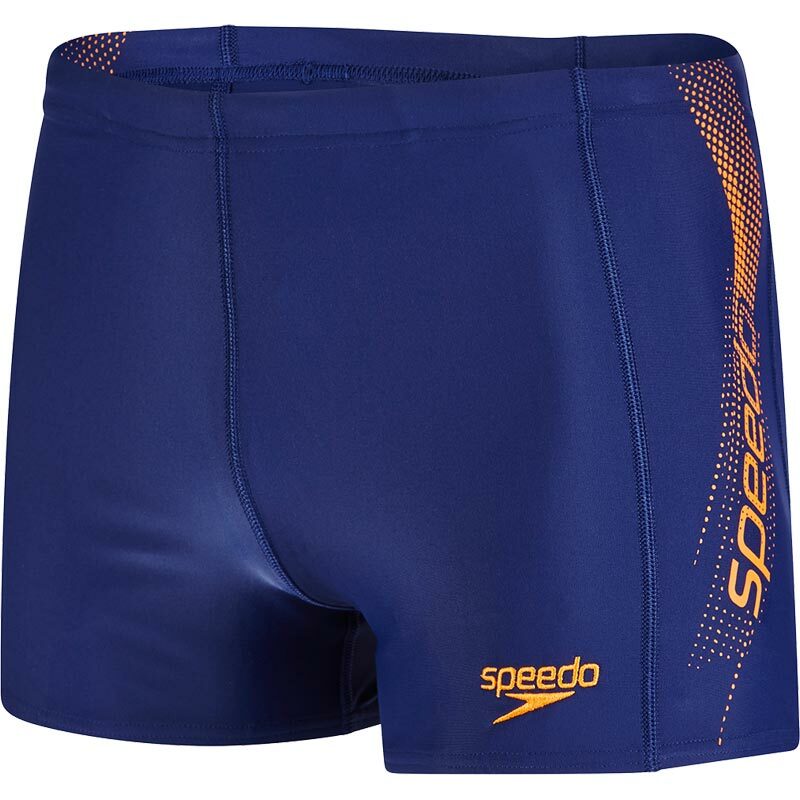 Sleek, stylish and quick-drying, the men’s Speedo ® Sports Logo Aquashorts are the perfect choice for fitness swimmers who prefer more coverage than briefs. Ideal for regular training, they include our shape-retaining Endurance ®10 fabric and a drawstring waist for enhanced comfort, ensuring nothing holds you back from achieving your goals. Developed to fit like new for longer, our soft-touch Endurance ® 10 fabric offers great comfort and shape-retention, even after regular training sessions, while its multi-directional stretch properties allow you to reach, stretch and train in comfort. Men’s fitness aquashort ideal for training and swimming lessons. Drawstring waist for comfort and security. Engineered to fit like new for longer with Speedo ® Endurance ®10 fabric. Now with new Creora ® Highclo™ for improved chlorine resistance. Features multi-directional stretch fabric for greater fit, comfort and freedom of movement. Durable, snag-resistant fabric is quick-drying and soft to touch. More resistant to sunscreen than traditional swim fabrics.